The unemployment and poverty levels have remained significantly high in Afghanistan where USD641.7 billion has been spent in military, reconstruction and civilian aid in the past 10 years. The results of a survey by the Asia Foundation, in late 2013, indicated that 25 percent of Afghans at a national and 27 percent at a local level identified unemployment as one of the biggest problems in Afghanistan. The unemployment problem has been exacerbated by the entrance of 400,000 young people, every year, to the Afghan labour market. The Afghan labour market does not have the capacity to absorb the unemployed young workers and it forces the young Afghans either to leave the country in search of work in neighbouring countries or to the streets where they often get involved in crimes. 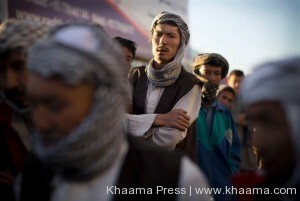 The living standard of people in Afghanistan has also been affected by rampant unemployment. According to the World Bank, the Afghans with jobs, whether part-time or full-time, earn on average USD410 per year or about USD one per day. Available government figures indicate that 60 percent of children are malnourished and 27 percent of the population has access to safe drinking water. Recently, the World Bank and the Afghan Ministry of Finance signed, according to media reports, a USD50 million grant to support the Afghan government’s efforts to improve access to credit for micro, small and medium enterprises through the Afghanistan Access to Finance Project. Out of the USD50 million grant, USD32 million will be provided to support the microfinance sector and scale up the “Targeting the Ultra Poor” programme that provides technical and financial support to poorest households to help them graduate out of extreme poverty. The remaining USD18 million will support the expansion of the Afghanistan Credit Guarantee Facility that provides partial risk guarantees to loans issued by commercial banks and microfinance institutions to small and medium enterprises. The government of Afghanistan along with a number of national and international organizations has taken some major steps to address the prevalent unemployment and poverty problems in the country. The Afghanistan Enterprise Development Programme (AREDP) by the Ministry of Rural Rehabilitation and Development (MRRD) is a vital move aimed at creating job opportunities and eliminating poverty. The main purpose of this new initiative is to harness the potential of the private sector for inclusive economic growth and sustainable job creation in rural Afghanistan over a period of 10 years. In another move, the Ministry of Information and Culture, with the technical and financial support of UNFPA, UNICEF, UNDP, ILO and Counterpart International, in June 2013, prepared the draft of Afghanistan’s first National Youth Policy. “Youth empowerment, development, ASHR and youth reproductive rights are at the core of UNFPA’s mandate and we will continue to work closely with the government, youth and reach out to provide opportunities to the most vulnerable and marginalized youth, in particular girls,” said Dr. Laurent Zessler, UNFPA Country Representative in congratulating the Government of Afghanistan for this critical milestone. The Afghanistan National Youth Policy, under the key intervention policy, has emphasised the need for the promotion of sustainable youth entrepreneurship through increasing young people’s access to sustainable finances, increased financial literacy and business skills, work experience opportunities for youth including through formal and informal apprenticeship and public and private internship programmes. The policy document has also recognised the need for the expansion of youth specific employment services and career education, including through the establishment of youth job centres. Free and universal access to quality education and training to build the capacity of young people and a strong human resource base, the promotion of decent employment opportunities for young women and men, in particular for young women and person with disabilities and in rural areas and the design and implementation of programs to build self-confidence, leadership skills, life skills and resilience of young women and men need to be addressed according to the policy. All these efforts are significant for creating job opportunities, eradicating poverty and developing a healthy business environment for better economic growth and development in the long run in Afghanistan. The government of Afghanistan needs to lead and coordinate all these interventions to ensure the effectiveness and efficiency and a smooth flow of technical information and exchange of experience among the stakeholders. Meanwhile, entrepreneurs, who are the real force behind the Small and Medium Enterprises (SMEs) and play a crucially important role in creating employment opportunities and economic growth, need to be fully equipped with the required business knowledge and skills. They must be familiar with national and international standards as well as consumers’ rights, fair competition principles and environmental impacts assessment and management. Furthermore, large and small Afghan entrepreneurs should be connected to national, regional and international markets.